Baby girl's sea shell shirt. Mermaid shell body suit. 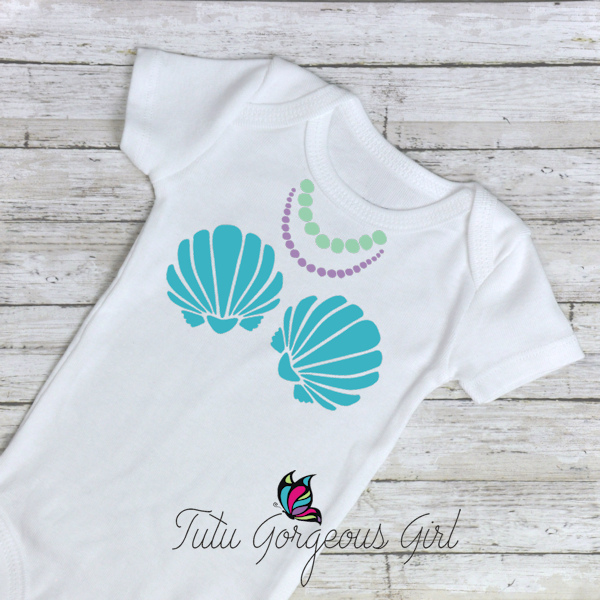 Baby girls sea shell mermaid birthday shirt in mint, purple and turquoise. 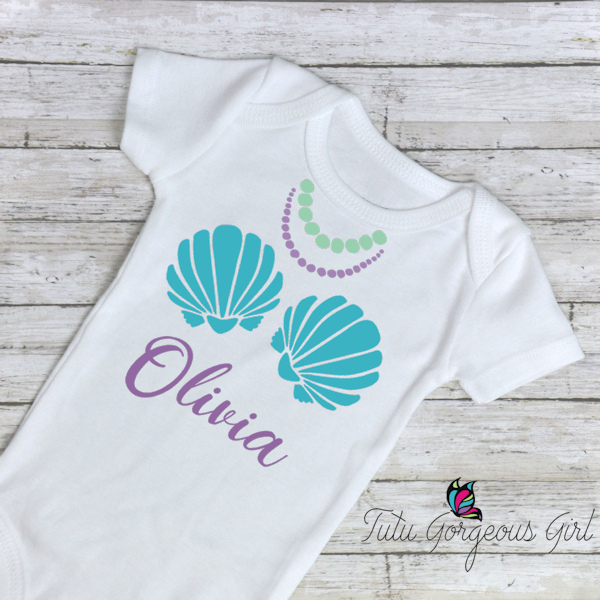 This fun mermaid inspired birthday shirt features a decal with two scallop shells and a pearl necklace! Color changes are welcome. Please specify any changes in your order notes, or contact us for requests. Name can be added to the shirt (First name only). Please include the name and correct spelling in your order notes.